A class practices yoga at People Place. CARDINGTON — The Community Center, a new concept in health, joy and community has opened for business at 109 W. Second St., the former home of Maceyko Tax. The center encompasses a wide range of health and wellness classes and workshops. Currently there are weekly classes including zumba, yoga, resistance band strengthening and meditation, etc. taught by trained professionals. Coordinating these programs is Michele “Mick” Mangione, who previously had a studio in Columbus and comes with 40 years of experience in the body-mind field. She recently moved to Westfield and is pleased for the opportunity to assist with the center. Lea Maceyko, founder, said there are workshops offered for anxiety, losing weight, essential oils, drumming, vision boards and other health areas. These workshops will be led by the center’s different facilitators. Other services offered at the People Place include private yoga, movement, meditation and body mind consultations by Mangione. 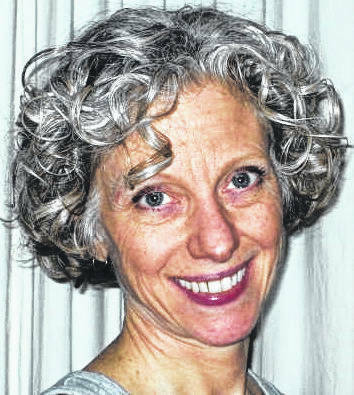 Shelley McCombs will offer reiki, personal training and nutrition consulting. Grief support groups will meet monthly. in front of the center. 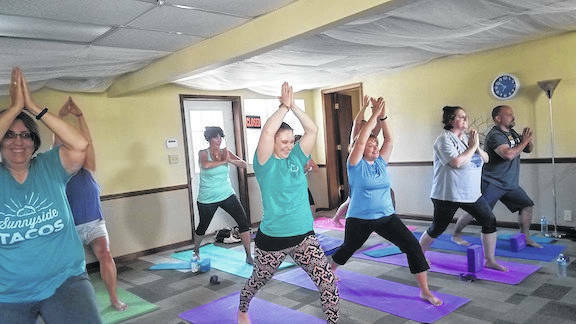 https://www.morrowcountysentinel.com/wp-content/uploads/sites/29/2018/10/web1_Yoga-class-1.jpgA class practices yoga at People Place.